TomTom was once one of the most dominant manufacturers when it came to sat navs, unfortunately for them Garmin nuvi has since taken over. 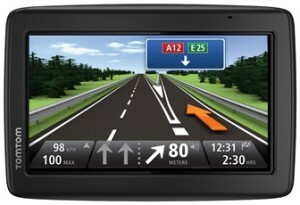 Nonetheless their products such as this one the TomTom Start 25 M sat nav are still competitive in terms of features and functionality but the price for some of their sat navs seems a little bit on the high side. Street maps covers UK and Ireland. Traffic alerts available upon paid subscription only. Speed camera alert but you must pay for a subscription to get updates. Points of interest gives you access to places and services nearby. Spoken street names so you can keep your eyes on the road. Parking assist to help you find nearby parking. Map share technology allows you to benefit from free daily map changes. 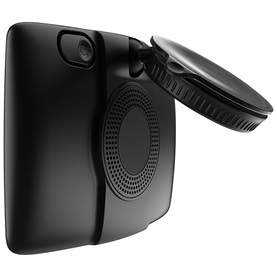 Integrated mount flips out and easily attaches to your windscreen. As with Garmin nuvi sat navs which offer free lifetime maps, you can also the most recent map updates at least 4 times a year which will update the road network, address and points of interest. Your device will pick up speed cameras, average speed checks and traffic light cameras. This will also include reports from other users to ensure new speed cameras are picked up on, however with this sat nav you have to pay a yearly subscription fee of £19.99 in order to receive the latest updates. You will be shown a realistic 3D representation of the junction which clearly shows the correct lane you need to be in, this way you will not miss your turning and be confident driving to unfamiliar destinations. Parking assist enables you to find nearby parking, you can either navigate to the nearest parking when planning your route or find parking when you’re at your destination. Map share technology allows users to make changes on the map or report changes online, these changes can then be shared with the community of 21 million TomTom users. This is completely free and you gain valuable local knowledge from users in locations where you may have to visit. To update your device, simply connect it to your computer and tick the box for “map share community update”. One of the unique features of the TomTom Start 25 M sat nav is the map share feature which enables a community TomTom users to share any road changes among each other. Even with this handy feature though this sat nav is overpriced when compared to the Garmin nuvi 2597LMT. Even if you wanted to include Western Europe for the TomTom the price is more or less the same price as the Garmin, and the Garmin includes the whole of Europe. This also doesn’t take into account that the Garmin offers free lifetime traffic and speed camera alerts whereas the TomTom doesn’t. 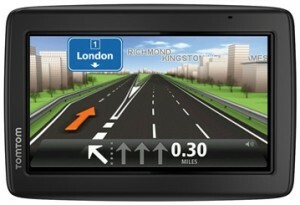 Unfortunately other than praising the map share feature we’re finding it difficult to justify the price TomTom is charging for this sat nav especially when competitors are offering a product similar for much less money or offering a product which offers a lot more for only a little bit more expensive.